They touch every area of the university, ranging from Montana State University’s first female mathematics teacher to one of the country’s first Extension poultry experts to MSU’s first female president. And now the public can know more about the stories of the Extraordinary Ordinary women who have molded the history of MSU with an exhibit at the MSU Library and an expansive website. The 125 “Extraordinary Ordinary Women” who impacted the university were selected this summer by the MSU President’s Commission on the Status of University Women from nominations submitted by the public is part of the university’s yearlong quasquicentennial celebration. MSU President Waded Cruzado said the list shines a light of recognition and appreciation on women who have been leaders, problem solvers and innovators throughout the university’s history, whether they were widely recognized or were relatively unknown during their time on campus. 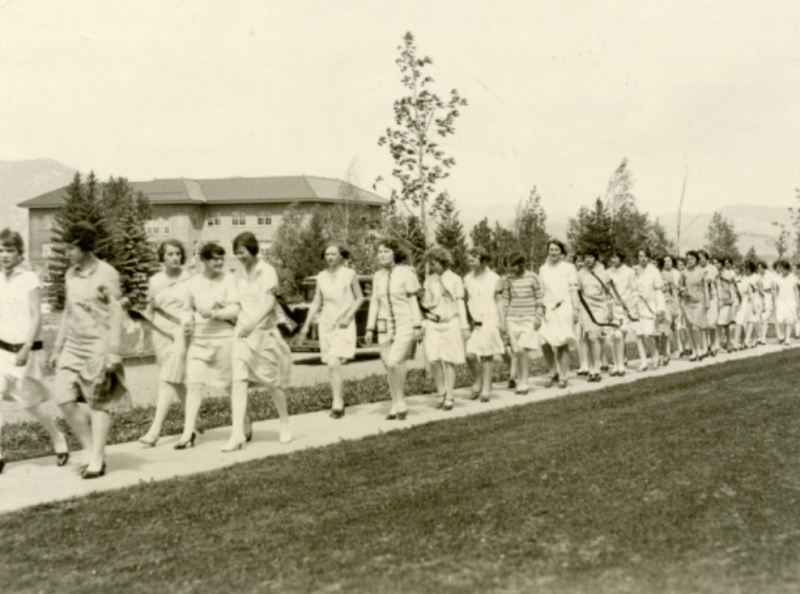 “This list, which is not exhaustive, demonstrates how the pivotal contributions of scores of brilliant MSU women made Montana State the dynamic university it is today. It should also give us inspiration and hope for the future about how the daughters of the land-grant university in the future will excel in everything they do,” Cruzado said. Rebecca Belou, co-chair of the commission that selected the honorees, said more than 400 nominations poured in from across Montana, recognizing those who have had an impact on the status of women at MSU and inspired others by their example. The 125 honorees were picked from those nominations. Women from every era of the university were represented as well as a diverse representation of race, age and academic or service areas. A full list of the honorees can be found here. More information about each recipient can be found in a brief drop-down menu, and there is a website where more in-depth biographical information may be accessed. The Extraordinary Ordinary Women are honored with displays in several locations in the MSU Library through Nov. 9. Posters and an interactive exhibit of honorees is located in the atrium. A computer adjacent to the posters provides virtual access to biographies of each honoree. The MSU Library Open Collection, which is located on book shelves near the cyber discovery wall on the first floor mezzanine, features works from women on the list. Featured contributors are also highlighted in MSU Library Special Collections located on the second floor. And the display case at the library entrance features memorabilia from some of the honorees. The women will be honored at a private reception on Nov. 2. They will also be introduced at MSU’s home football game on Nov. 3 against Cal Poly. Nika Stoop, a member of the selection committee, said the accomplishments of the women on the list are truly extraordinary.